Protests were held across the country Thursday evening after U.S. Attorney General Jeff Sessions resigned per President Donald Trump's request. About 1,000 people gathered at the Federal Building in downtown Ann Arbor as part of the nationwide movement hosted by the Move On network. 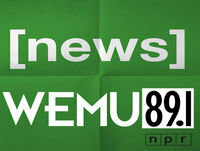 89.1 WEMU's Jorge Avellan was there and has the story.